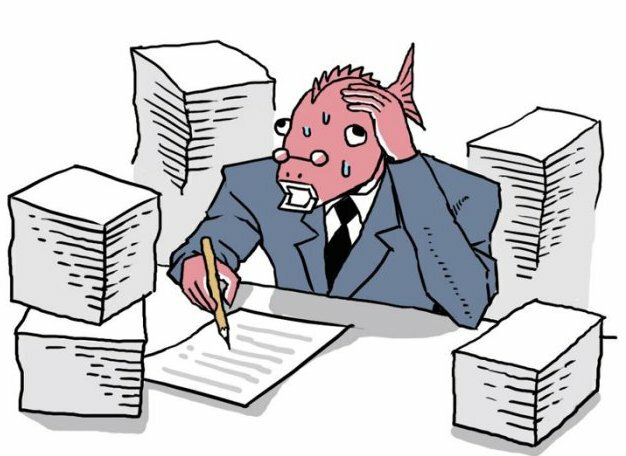 Created with Japanese office culture in mind, but meant to represent office workers worldwide, Business Fish is a pressure-crushed employee, shot through with anxiety and anguish. If, as Sianne Ngai argues, strong emotions, particularly dysphoric ones, are "the psychic fuel on which capitalist society runs," Business Fish is a resource burning at both ends. Though he is designed to have a generally "upbeat" tone, his happiness, his positive valences, are tempered. He tensely presents a cake to a coworker, possibly to increase his social capital. He plots, alone, at a bar. When he celebrates a win, he is just as alone. These images are pretty dark, for Facebook stickers. They work on two levels: one, they can help users mediate personal emotion, expressing untidy frustrations with one's colleagues and managers without words. Two, they serve as commentary on an administered universe, in which the ability to manage, control and perform emotion is a commodifiable skill. 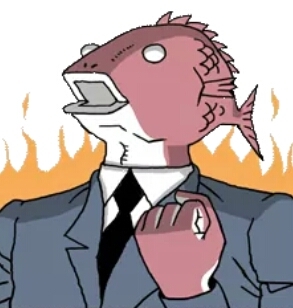 Business Fish offers a diagram for the management of emotional capital. As Paolo Virno suggests, affects like insecurity over competition and fear over one's position "haunt the workday like a mood that cannot be escaped." These moods are, again per Ngai, "reconfigured into professional ideals," to be adaptable, to push through on a project, to compete during overtime. These ideals grease along the economic system. 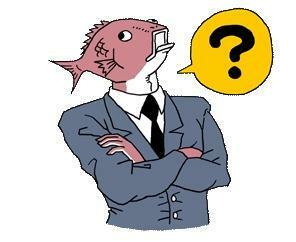 Channeling emotion into professional productivity makes us more marketable, as it does for Business Fish. Since the extreme pressure of self-management has consequences, his efforts can't always be perfectly contained. His triumphs become more and more unhinged: in one image, he laughs wildly, fists raised. In the next, his head is thrown back, his eyes are pupil-less and he is backlit by flames. The quarter's results are in: emotional carnage is just the cost of doing business.